The Blue Marble, one of the most widely distributed images in history! Home » Universe » Galaxy and Planet » The Blue Marble, one of the most widely distributed images in history! 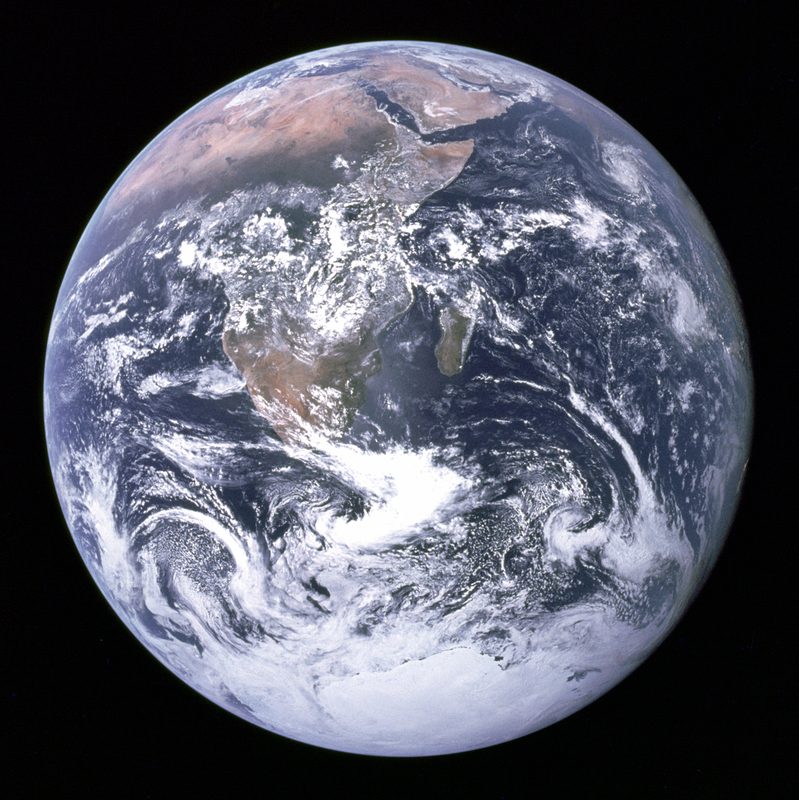 The blue marble is a photograph of the Earth, taken on December 7, 1972, by the crew of the Apollo 17 spacecraft, at a distance of about 45,000 kilometers (28,000 miles). It is one of the most widely distributed images in human history. What is the Blue Marble? The image with the official NASA designation AS17-148-22727 reproduces the view of the Earth as seen by the Apollo crew traveling toward the Moon. The translunar coast photograph extends from the Mediterranean Sea to Antarctica. This was the first time the Apollo trajectory made it possible to photograph the south polar ice cap, despite the Southern Hemisphere being heavily covered in clouds. In addition to the Arabian Peninsula and Madagascar, almost the entire coastline of Africa is clearly visible. The Asian mainland is on the horizon. The photograph was taken about 5 hours and 6 minutes after launch of the Apollo 17 mission, and about 1 hour 54 minutes after the spacecraft left its parking orbit around the Earth, to begin its trajectory to the Moon. The time of Apollo 17’s launch, 12:33 a.m. EST, meant that Africa was in daylight during the early hours of the spacecraft’s flight. With the December solstice approaching, Antarctica was also illuminated. Apollo 17 was the last manned lunar mission. No human since has been far enough from Earth to photograph a whole-Earth image such as The Blue Marble, but whole-Earth images have been taken by many unmanned spacecraft missions. Text: Wikipedia contributors. “The Blue Marble.” Wikipedia, The Free Encyclopedia. Wikipedia, The Free Encyclopedia, 28 Jul. 2017. Web.7 Aug. 2017. What everybody ought to know about auroras! When i was yuong i sow a tv program called the Blue Marbel, la canica azul, for the childrens, i hope that i make it better. As your article correctly states, it is centered on Africa, not on North America!